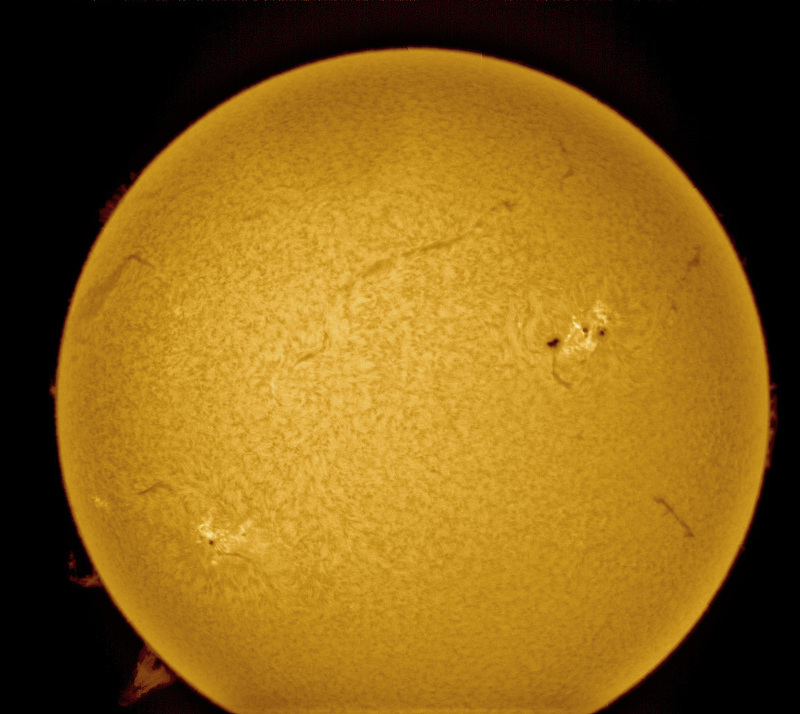 I took this last week with my Ha scope, single stacked, the image is a stack of the best 250 frames out of 500. The sun is quite quiet at present with only a few spots but some nice prominences, some of which are seen here. 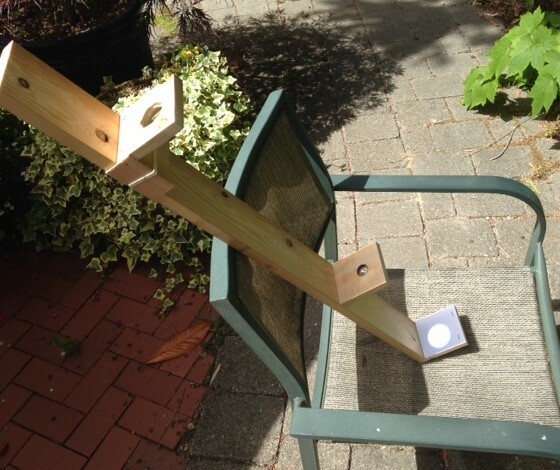 Can’t miss any opportunities to look at the sun! 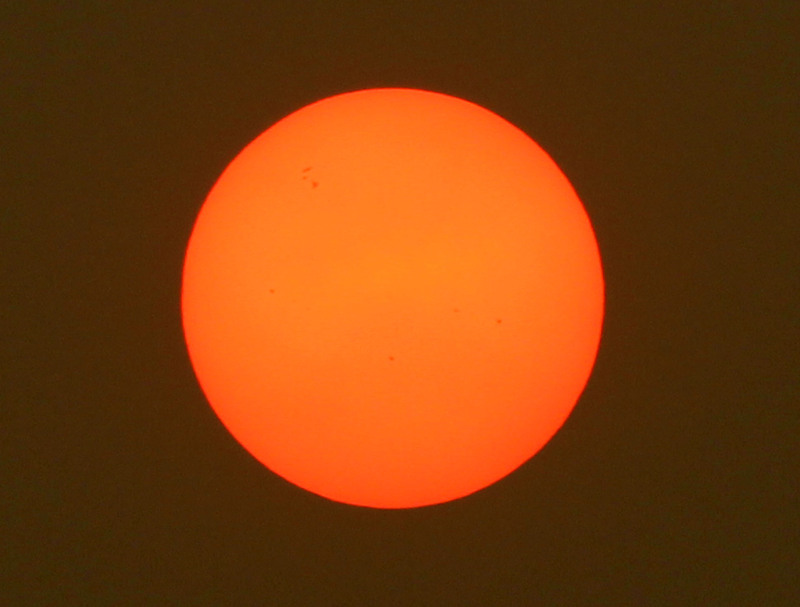 The ancients were able to view sunspots by viewing the sun through smoke. Here member Bob Evermon has captured the sun through forest fire smoke with his Canon 250mm and you can see them for yourself. Bob later tried using the smoke again with his Skywatch at full power with the Canon SLR with adapters only using the Sechelt Forest Fire as a filter with the result below. 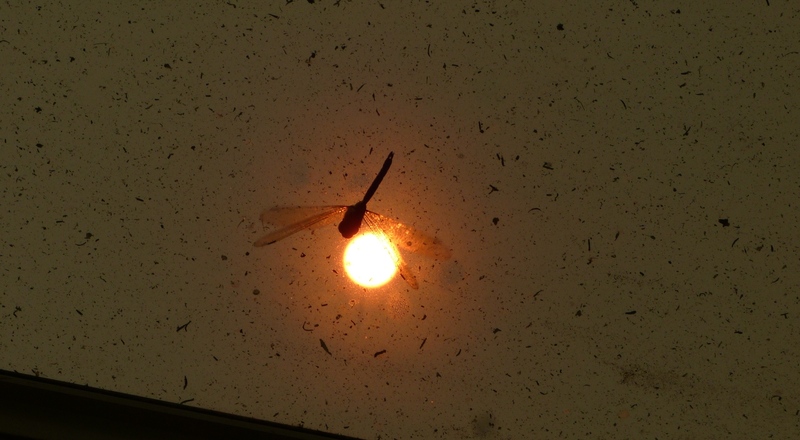 NOTE: Don’t look at the sun without the correct protective filter! David Hathaway, head of the solar physics group at NASA’s Marshall Space Flight Centre reports that solar activity is “the weakest in 200 years”. “There is no scientist alive who has seen a solar cycle as weak as this one,” reports Andrés Munoz-Jaramillo of the Harvard-Smithsonian Center for Astrophysics in Cambridge, Mass. 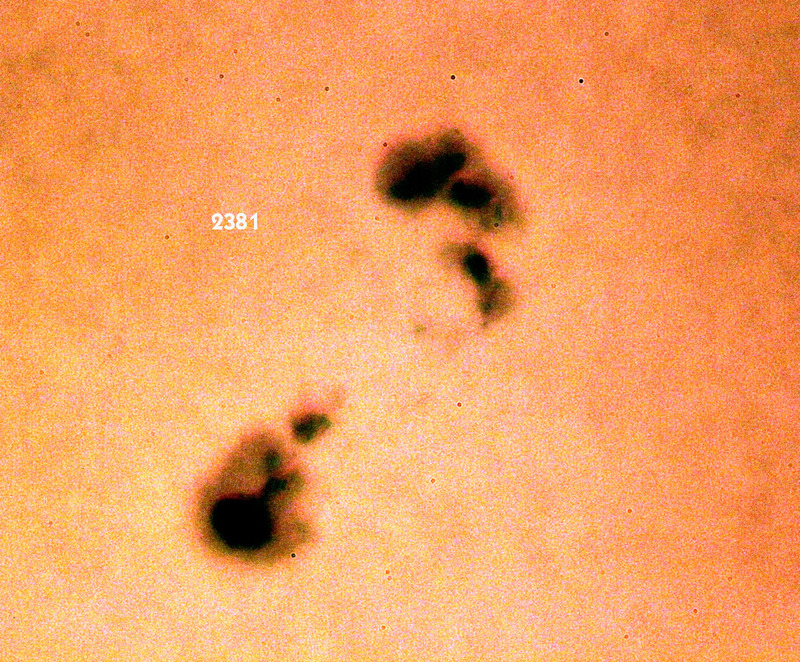 Puzzled scientists are witnessing the sun’s oddest magnetic reversals on record. Normally, the sun’s magnetic north and south poles change polarity approximately every 11 years. During a magnetic-field reversal, the sun’s polar magnetic fields weaken, drop to zero, and then emerge again with the opposite polarity. Douglas Biesecker at NASA’s Space Environment Center says that “the magnetic shift is notable only because it signals the peak of the solar maximum”. However this cycle the sun’s north magnetic pole reversed polarity more than a year ago, so it has the same polarity as the south pole. “The delay between the two reversals is unusually long,” said solar physicist Karel Schrijver at the Lockheed Martin Advanced Technology Center in Palo Alto, Calif.
Scientists said they are puzzled, but not concerned, by the unusual delay. They expect the sun’s south pole to change polarity next month, based on current satellite measurements of its shifting magnetic fields. 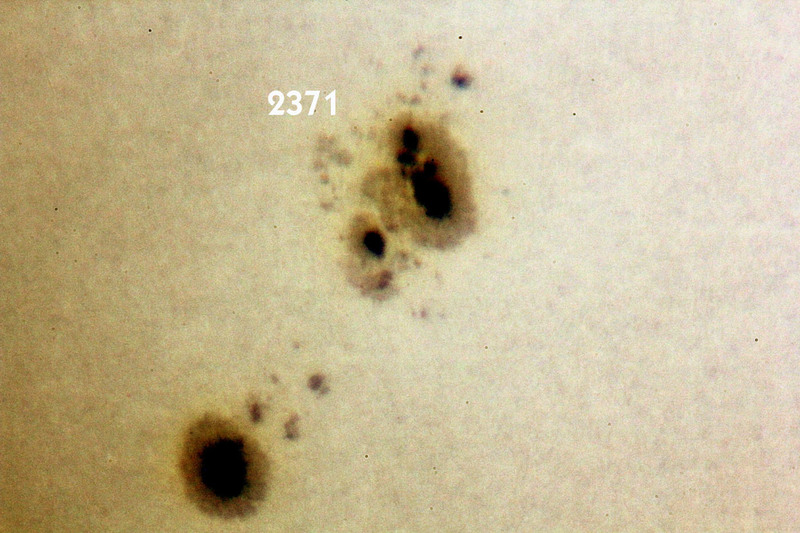 Recently there has been an unexplained scarcity of sunspots. 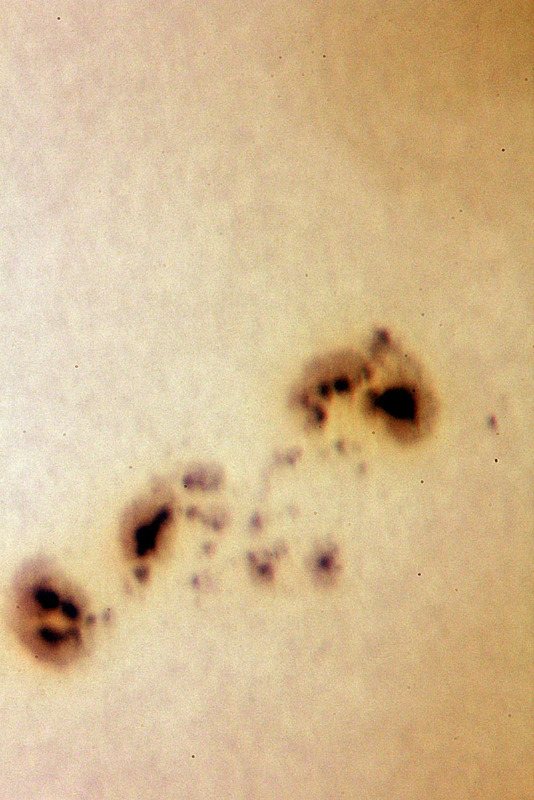 “It is not just that there are fewer sunspots,” says Dr. Schrijver, “But they are less active sunspots.” However, after months of quiescence, the sun has recently unleashed vast streams of charged particles into space five times in as many days last month, and flared again last week. Even so, these outbursts exhibited a fraction of the force of previous solar maximums. Here are some photos by our member Bob Evermon, taken from his Skywatch from May 8 and June 23rd. Attached is the image I took today. It isn’t the best capture, I was racing against the threat of cloud banks rolling in and almost missed the conical prominence that I had seen earlier. But I caught it! I stacked 100 images in Registrax and then adjusted level and colour in Photoshop. 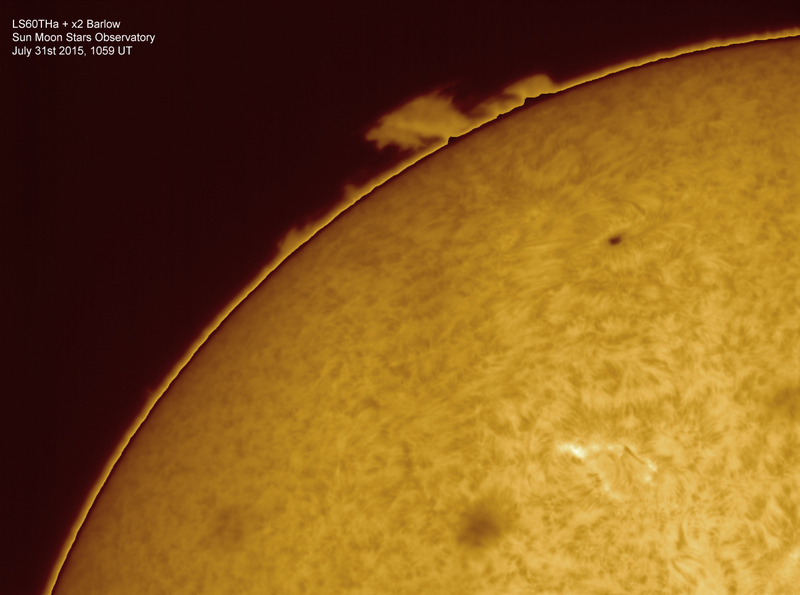 Take a look at the prominence, it is an impressive one. The other solar features are quite clear too. If the sun keeps this behavior up for a week or two you should all have some great public viewing at Hackett Park and Halfmoon Bay.